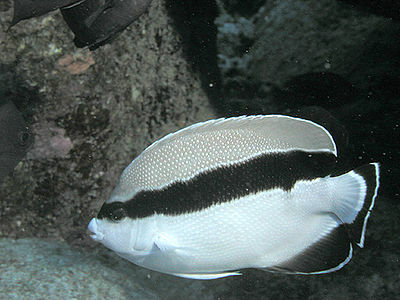 The Red Blotched Perchlet is found in Indonesia and the Philippines. It is rarely caught and is therefore an expensive fish. Males and females are both about 1.8 in. in length. Any fish that are larger and aggressive can cause problems in a tank. 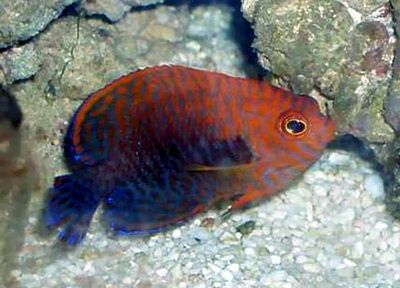 This fish should not be mixed with big dottybacks, hawkfishes, aggressive damsels, pugnacious wrasses, sand perches, or triggerfishes. The tank size minimum is 13 gal. This fish will spend most of its time in the dimly lit areas of the aquarium.